Leef is a mobile memory company. During my time interning there, the company was considering branching out into new products that fell into other mobile technology categories. I decided to focus my research and development on portable batteries. Phone, typically placed on top of smooth battery, slips out of users hands. Two different cords are needed to charge the phone and the battery. Side placement of cable impedes comfortable holding of phone with battery. Soft curves and materials characterize the current language of Leef products. Using the concept of the blood bag as extra life, inspiration was drawn from translucent materials while keeping true to the brands form identity. 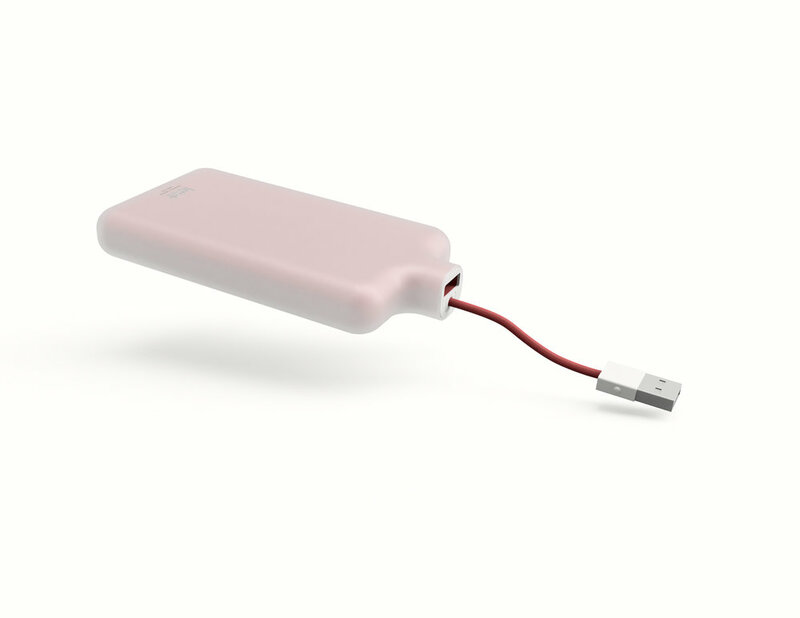 Drawing inspiration from the IV blood bag, the +life battery plays on the idea of your phone needing a blood transfusion for more energy. Packaging is inspired by the graphic simplicity of blood bags. Following the blood bag metaphor, the battery's power level is displayed by the blood level.